The fresh air, the sounds of the drifting water, the tranquil sunset view – it is no wonder why many people love the sunset cruise. Sunset views console our mind and soul, would you agree? In fact, sunsets provide therapeutic benefits as effective as other therapeutic regimens. If you want to experience these benefits, Tiki Mermaid, a boat rental in Marina del Rey California, can bring you to the beautiful marina harbor and experience the sunset. The sunset portrays a completion of a day work. Sunset not only gives us a sense of relief, knowing that another new day is waiting, but it also reminds us to take a break. You can hire a party boat in California and forget about your workday duties for a while. By witnessing the beauty of sunsets, you feel more alive. It can even help ease depression, stress, and anxiety and help improve your mood and perception about life. If you have doubts about that, you may read the Journal of Environmental Psychology. Nature is a fuel for the soul. Spending time with nature, like sunsets, is a better way to energize your spirit and heighten your sense of well-being. Sunset gives us a daily opportunity to celebrate and be grateful for each day. 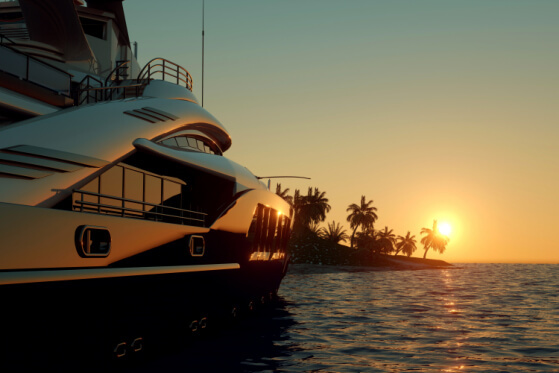 With all these benefits, who wouldn’t want to hire a yacht charter in California and experience a sunset cruise? This entry was posted in boat rental and tagged party boat, Sunset Cruise, Yacht Charter. Bookmark the permalink.